While I've cut down almost completely on signing up for blog tours, I liked the sound of Phoebe Pope. I always tend to enjoy books that are based around schools or academies and I also love books with shifters, so it sounded like a win/win. And I'm happy to say that it was. While not perfect, it was still really enjoyable and I quickly became engrossed in it. There were a few similarities to Harry Potter in the beginning but I got over that as the book moved into it's own original story. And one of the main characters being a movie star was something completely new to me. For the first few chapters, I felt Phoebe's character was quite emotionless and bland and she was overshadowed personality wise by her friends, Hayley and Scott who were both bubbly, passionate characters. Thankfully, this flaw in Phoebe's character did rectify itself before long and I found myself really warming towards her. Colten, the movie star, is quite the mystery from the start and I spent most of the book trying to figure him out. I really liked him though and times that Phoebe spent with him made up some of my favourite scenes in the book. 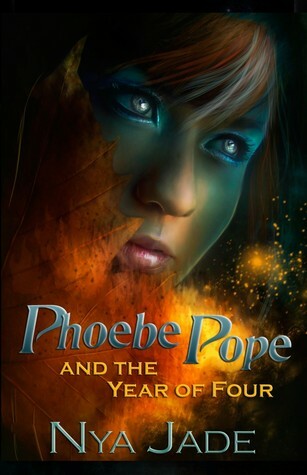 Phoebe Pope and the Year of Four has shifters, enemy tigers, kidnapping, mystery, suspense and star crossed lovers with some surprises popping up in the final few chapters. I was hoping this wasn't going to be a stand alone, as I know I'd enjoy more time spent in this world, and it seems it's not. But with no information whatsoever on a sequel, I'm hoping it's not going to be too long a wait. Overall, a great debut novel for Nya, that I would definitely recommend. I also love books revolving around an academy setting. I enjoy shifters too. A little Harry Potter is good actually lol Star crossed , lovers mystery, suspense, and kidnapping! Sounds great! Glad you enjoyed it! I hear ya about not signing up for tours, I am pretty much deleting all the emails. I got burned on too many tours at the end of the year. I am glad this was a good solid read, but sorry to hear that it ended up being a series when you were expecting a stand alone, I hate that! The cover is really cool! This sounds really cool, w/tigers and shifters. I like the sound of it. I try and avoid signing up for blog tours too so that I can be a little more relaxed with my reading schedule. 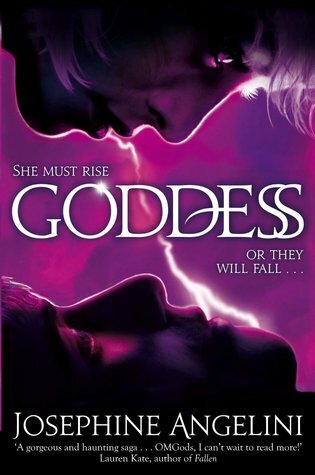 I don't read too many shapeshifter novels but I like that this one also has "kidnapping, mystery, suspense and star crossed lovers with some surprises." It sounds very action-packed!